”The Caspian Sea“ – the body of water surrounded by the land territories of the Parties and outlined on the 1:750,000‑scale nautical charts of the General Department of Navigation and Oceanography of the Ministry of Defense of the Russian Federation, Saint Petersburg, No. 31003, archive edition of 17.04.1997 published in 1998; No. 31004, archive edition of 04.07.1998 published in 1999; No. 31005, archive edition of 16.11.1996 published in 1998, certified copies of which are attached to this Convention and form an integral part thereof. ”Baseline“ – the line consisting of normal and straight baselines. ”Normal baseline“ – the line of the multi-year mean level of the Caspian Sea measured at minus 28.0 meters mark of the 1977 Baltic Sea Level Datum from the zero-point of the Kronstadt sea-gauge, running through the continental or insular part of the territory of a Caspian littoral State as marked on large-scale charts officially recognized by that State. ”Straight baselines“ – straight lines joining relevant/appropriate points on the coastline and forming the baseline in locations where the coastline is indented or where there is a fringe of islands along the coast in its immediate vicinity. The methodology for establishing straight baselines shall be determined in a separate agreement among all the Parties. If the configuration of the coast puts a coastal State at a clear disadvantage in determining its internal waters, that will be taken into account in developing the above methodology in order to reach consent among all the Parties. ”Internal waters“ – waters on the landward side of the baseline. ”Territorial waters“ – a belt of sea to which the sovereignty of a coastal State extends. ”Fishery zone“ – a belt of sea where a coastal State holds an exclusive right to harvest aquatic biological resources. ”Common maritime space“ – a water area located outside the outer limits of fishery zones and open for use by all the Parties. ”Sector“ – parts of the seabed and subsoil delimited between the Parties for the purposes of the subsoil exploitation and other legitimate economic activities related to the development of resources of the seabed and subsoil. ”Aquatic biological resources“ – fish, shellfish, crustaceans, mammals and other aquatic species of fauna and flora. ”Shared aquatic biological resources“ – aquatic biological resources jointly managed by the Parties. ”Harvesting“ – any type of activity aimed at removing aquatic biological resources from their natural habitat. ”Warship“ – a ship belonging to the armed forces of a Party and bearing external marks distinguishing such ships of its nationality, under the command of an officer duly commissioned by the government of the Party and whose name appears in the appropriate service list or its equivalent, and manned by a crew which is under regular armed forces discipline. ”Ecological system of the Caspian Sea“ – interacting components of air, water and biological organisms, including human beings, within the Caspian Sea and parts of the land affected by the proximity of the Sea. 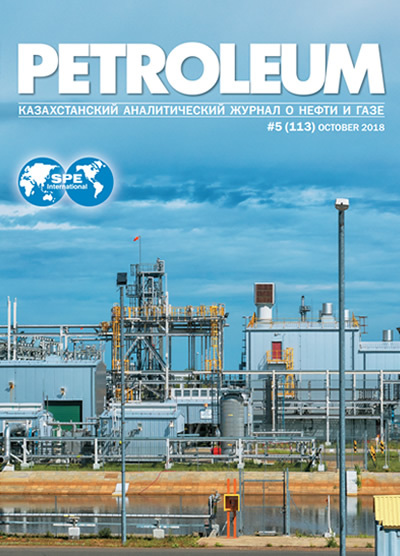 ”Pollution“ – the introduction by man, directly or indirectly, of substances, organisms or energy into the ecological system of the Caspian Sea, including from land-based sources, which results or is likely to result in deleterious effects, such as harm to biological resources and marine life, hazards to human health, hindrance to marine activities, including harvesting of aquatic biological resources and other legitimate uses of the sea, impairment of quality for use of sea water and reduction of amenities. 1. In accordance with this Convention, the Parties shall exercise their sovereignty, sovereign and exclusive rights, as well as jurisdiction in the Caspian Sea. 2. This Convention shall define and regulate the rights and obligations of the Parties in respect of the use of the Caspian Sea, including its waters, seabed, subsoil, natural resources and the airspace over the Sea. 17) Conducting marine scientific research outside the territorial waters of each Party in accordance with legal norms agreed upon by the Parties, subject to the respect for sovereign and exclusive rights of the coastal States and to the compliance with relevant rules established by them with regard to certain types of research. The Parties shall conduct their activities in the Caspian Sea for the purposes of navigation, harvesting, use and protection of aquatic biological resources, exploration and exploitation of the seabed and subsoil resources, as well as other activities in accordance with this Convention, other agreements between the Parties consistent with this Convention, and their national legislation. The water area of the Caspian Sea shall be divided into internal waters, territorial waters, fishery zones and the common maritime space.